It's that time of year again, when the wonderful Amy of Amy's Creative Side blog hosts the Blogger's Quilt Festival! 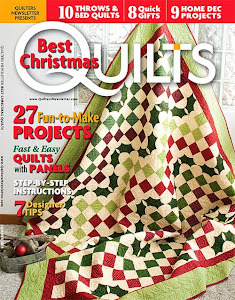 I can't tell you how much I enjoy all the quilty goodness that is shared on this online quilt show. You must check it out, and there's still time to enter (linky is open until 10/31). For this season's BQF I made it in under the wire with my new little owl quilt: Trick-Owl-Treaters. I started with a sketch of the 3 owls and then used the fusible applique method to pull this small quilt together. I used my Cricut machine to make the letters - so simple! And there you have it, my "in the nick of time" Halloween quilt and Blogger's Quilt Festival entry. This is also officially my last Halloween decoration to go up for 2 whole days this year, LOL. Cute! The mummy is my favorite, too. I've never tried doing a fused binding like that--may have to give it a shot now that I'm doing smaller quilts more often. Any tricks to that? I may post a tutorial, but basically I cut my binding strips 2 inches and Wonder Under a hair narrower than that in strips. Then I fuse the WU to the binding strips. Then I cut another narrow strip off each side of the fused binding strips using my pinking or ruffled rotary blade for a decorative edge. Then I fuse it to the front of the quilt, same way you would a regular binding. Fold over the edge to the back and fuse, pleating in the corners for a smooth finish. 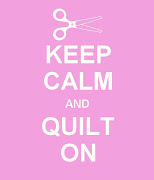 I usually (but not always) finish it with a straight stitch all the way around or a small zig-zag stitch. Hope that helps! That is soooo cute! I love your owl quilts! Pattern companies will eat this quilt up! It is so adorable and I'm thinking it needs to be registered. Well, this is adorable! Happy Halloween! OMG!! I SOO love this!!! It is absolutely adorable!!!!!! Owls are awesome - great job! Oh my goodness, scrumptiously cute!!! So great a design and finish. This is such a cute quilt! What a neat design. Hum it ate my comment. So try 2 thanks for linking up love the mummy. That mummy owl is the cutest thing I've seen in a long time. How adorable!! Such a cute quilt...love it!